Cambodian Defenders Project (CDP) is looking to hire a psychologist to support the Project on Gender-Based Violence During the Khmer Rouge Regime. Deadline for applications is 8 December 2013. Download the full job announcement here. This article reports on the first Women’s Hearing organized by CDP in 2011 and on start of the Cambodian Women’s Oral History Project. During the Youth Mental Health Day on 14 November 2013 organized by the Royal University of Phnom Penh (RUPP), Cambodia Defenders Project (CDP) will present this year’s film on the 2013 Women’s Hearing with the Young Generation. The film will summarize the proceedings of the Women’s Hearing by showing the excerpts from the testimonies and interviews with participants. Members of the Student Panel and CDP staff will be present at the film premier to answer questions. 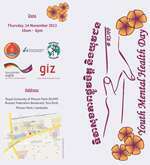 Download the Youth Mental Health Day flyer with details on time and location here. 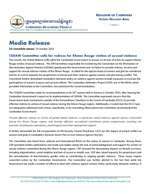 Following the Concluding Observations issued by the Committee to End All Forms of Discrimination Against Women (CEDAW) on 21 October 2013, CDP issued this press release to exress their support for CEDAW’s statements and recommendations on sexual violence during the Khmer Rouge regime. CDP calls on the government to fully comply with the obligations stipulated by CEDAW. On 24 October 2013, the website of the Cambodian Women’s Oral History Project was launched. 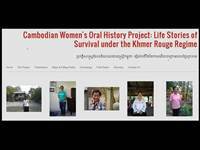 The Cambodian Women’s Oral History Project collects testimonials from women who survived the genocidal Khmer Rouge regime that ruled Cambodia between 1975-1979. Unique in its life story approach, the project aims to increase understanding of the ways in which women were uniquely impacted by the atrocity, including as victims of widespread sexual violence and gender-based abuse. 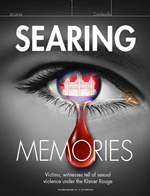 This is a story that has been silenced and neglected for close to 40 years. Visit the Cambodian Women’s History Project here.